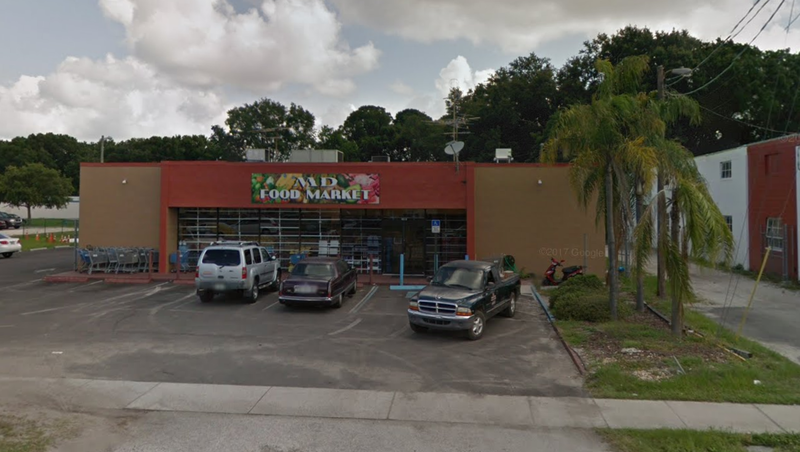 Spoiler alert: this was, far and away, my favorite supermarket that I visited in Tampa. Almost everything about it was done exactly right. 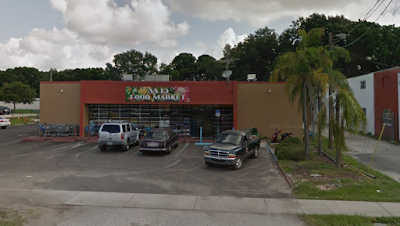 Tropical Supermarket, which has no relation to the Key Food affiliate of the same name based in New Jersey, is located at 4019 W Hillsborough Ave, Tampa. The color scheme they use throughout, like the New Jersey chain, is very tropical in style. However, I think I like the New Jersey chain's logo better. 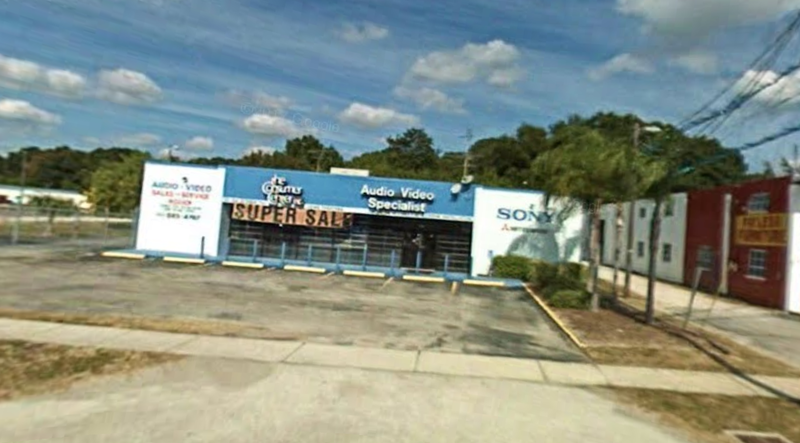 The store painted its facade beige, then closed by 2013. It later became MD Food Market, shown here in a 2013 street view. MD was switched to Tropical over the summer of 2015. Tropical looks by far the best of all of them. It also uses similar graphics and signs to Huracan, which makes me wonder if they share an owner -- or just a design firm (or style!). The store is quite small, no larger than a substantial convenience store, like a Wawa or a large Quick Chek. However, it's full-service, with produce, meat, deli/hot food, frozen, dairy, and grocery. Finally, someone gets it right! Unless you're talking about food from Spain (which supermarkets typically aren't), Latin is an appropriate adjective. Spanish is not, and Hispanic generally describes a person, not food. Although Tony's Shop & Save in the City Line neighborhood of Brooklyn seems to have found a viable alternative. I did not have a Cuban sandwich here, although I should have. The Cuban sandwich I did get in Tampa was incredibly disappointing. More on that in a later post. Produce is in a spacious section to the left when you enter. The front wall is on the left in the photo above. The butcher lines the back wall, with deli to the right in the above photo behind the grocery aisles. The store uses updated LED light fixtures, although some of the refrigerator fixtures are pretty outdated. Looking towards checkout and past that, frozen foods. Although this store was a fraction of the size of the two Bravos, it was so much more inviting and well-stocked, and most importantly, friendlier. You can see more interior photos on Yelp.